Despite the absence of our weekly regular, David Dampier (owing to his leave), I still wanted to put out an album of leopards this week. Browsing through a selection of my images I thought it would be useful to compare a variety of photographs, explaining why I took them in a particular way; the settings I used and open the floor open to any comments and questions around the photography of these elusive yet beautiful creatures. 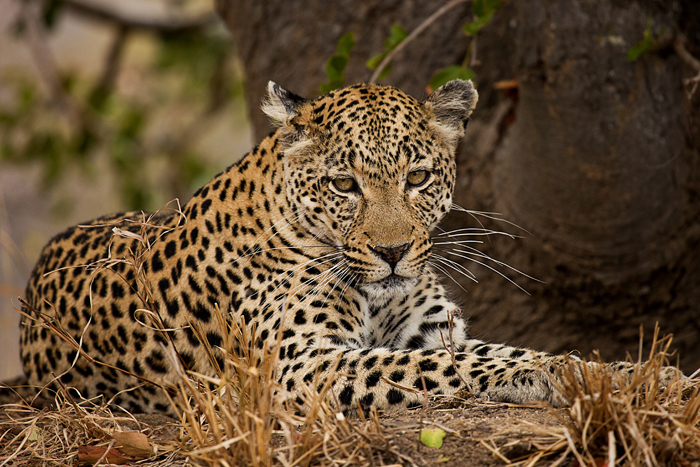 Leopards behavior is interesting to watch and challenging to photograph, yet the two go hand in hand and the more time spent watching these creatures at Londolozi, the luckier I have got with my photography. 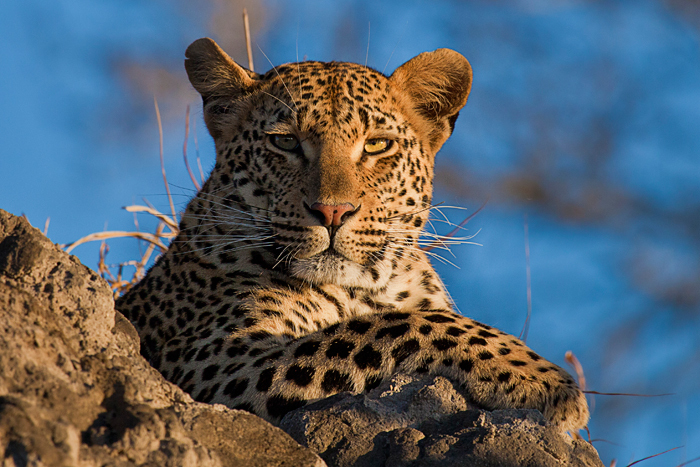 I look forward to your questions, comments, thoughts, stories and ideas around photographing Leopards in the comments section below. The Emsagwen Male. I photographed this male early one morning on Marthly. The sunlight was very crisp and as he looked up I snapped the picture. 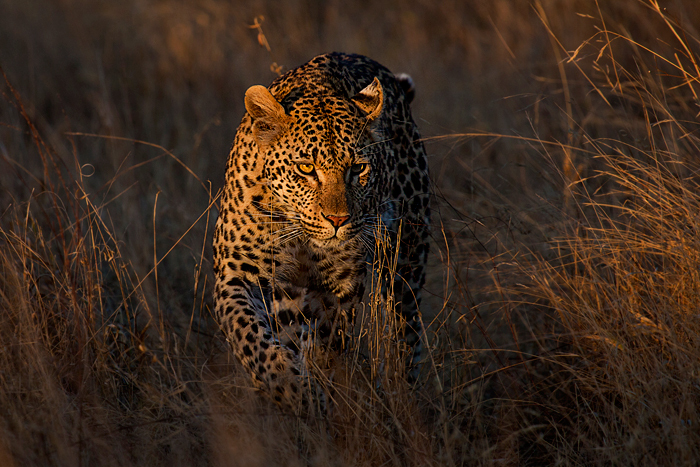 The eyes set the tone of the image, giving the leopard a specific character. Personally I think he has a menacing expression which fits the identity of this dominant male. I would have liked to take the picture of him with no branches, however these two branches frame him nicely nonetheless. f5.6, ISO 400, AWB. A critical trick with photographing cats, or any other animal, is to get below the eye level of the subject matter. Too often Safari photographs look amateurish owing to the fact that they were taken from above the subject looking down. We were lucky to photograph the Maxabene Female on this termite mound one cloudy morning. Eye level with us, she turned to stare at a vehicle full of photographers, spreading her whiskers out wide. This image could have been improved slightly by, perhaps, having a greater depth of field to include the remainder of her body which is blurred out. f5.6, ISO 800, AWB. 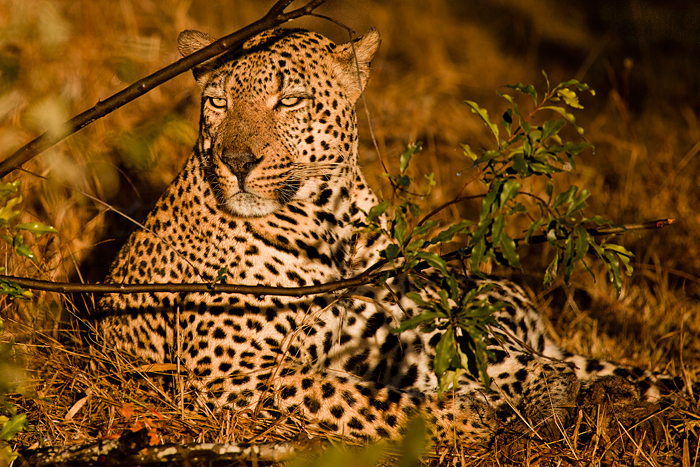 The Maxabeni Young Male struck this regal pose in the late afternoon sunlight. Summer had just arrived and the foliage around him was lush and green. In order to bring out the animal, I put on a heavy vignette in photoshop, blurred out the edges and brought out the yellow and pink in his face/eyes. I also crushed the blacks and heightened the whites to place a greater emphasis on his camouflouge in the brush. 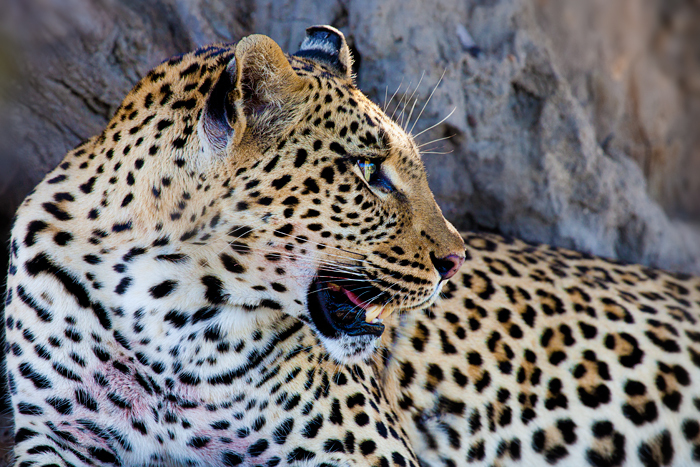 The Tutlwa female has always been a tough leopard to find and that is what made this shot so special. Upon finding her, she allowed me to take multiple pictures of her whilst she kept an eye out for her cub not too far away. Although I love the pose, the soft colors of green, brown, blue and gold work together beautifully. As this was taken in the middle of the day I brought my ISO right down to decrease the sensitivity of the light sensor. f5.6, ISO 100, AWB. Funnily enough, the above picture won a prize in the Cazenove and Loyd Travel Photographer of the Year and is now in the finals for the Grand Prize. If you like this image, you can vote for it by CLICKING HERE, and give yourself the chance to win a case of Moet and Chandon Champagne while you are at it. 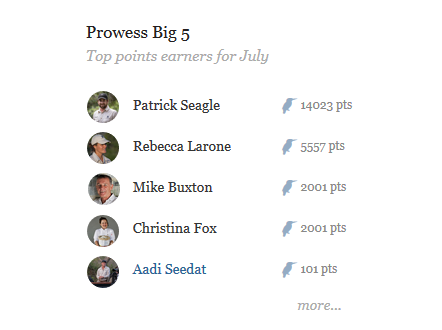 Simply select the July Image and cast your vote. 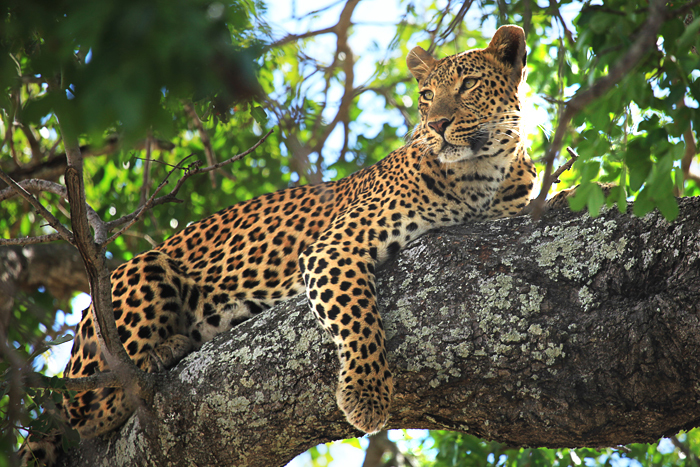 Taken in the same sighting as above, this shot is one of those quintessential leopard poses and deserves to be included in any album about these animals. Low ISO, Fast shutter speed and waiting for the moment when she raised her head of the branch, this shot came together quite easily. f4.5, ISO 100, AWB. 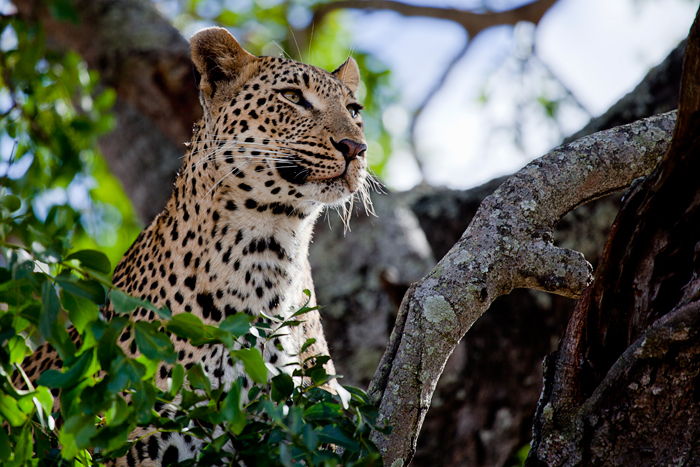 The Tamboti female Leopard lies in the shade of a tree after feeding. The color of the rosettes mixed with the texture bring this image alive whilst also making me wonder what she was staring at with such focus. A light, blurry vignette just around the edges to braw the viewers attention back into the subject matter. f4.5, ISO 100, AWB. Lovely shots Rich, and of course I voted for your photo, fingers crossed for the prize and the posh french grape juice! My favourite is the Vomba female on the termite mound – how seductive is that spot on her nose! – it draws your eyes right to the center – beauty and power – and you caught it …. I could look at pictures of these animals all day. They are so beautiful. Keep amazing me! Fabulous images!! 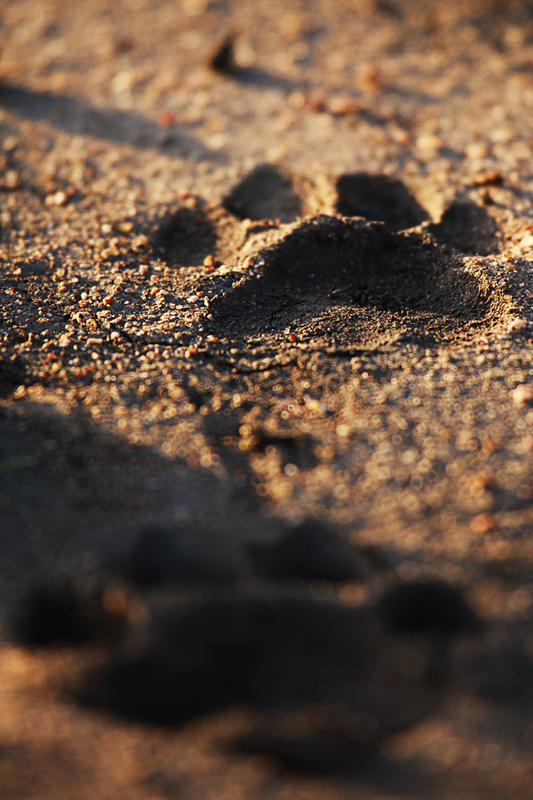 Makes me long for another Londolozi adventure!! We had a Leopard walk up to our Land Rover and lie down right next to us. My daughter resumed snapping pics and captured this first seen Leopard with a cataract, needless to say she did not need a zoom! You all are doing a wonderful job by the way!! 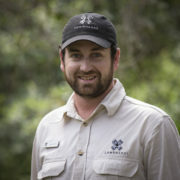 Love the Londolozi updates, makes us still feel connected!! P.S. note on Doyle (David), is he on a break or moving on? 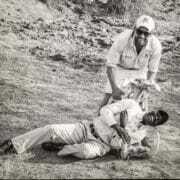 He was our Ranger and he was absolutely great with us!! 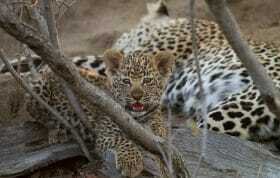 Richard, the photographs of the leopards are wonderful. They are so crisp and clear. I think your picture of the Maxabene Female is perfect as it. The focus is on her beautiful face which is well centred in the photograph and personally I don’t believe it could be improved upon. The rest of the picture (her body the tree trunk(?) and background) are incidental. If you snipped her head out of the picture and pasted it on a blank background it would still be as clear, as appealing and as beautiful. The photograph of the Tutlwa Female is, for me, classic. 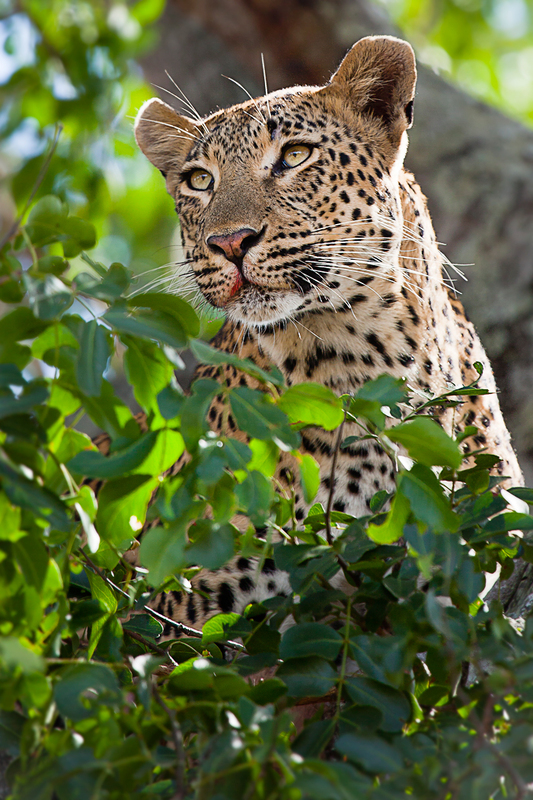 That is how I so often have seen leopards – behind foliage! 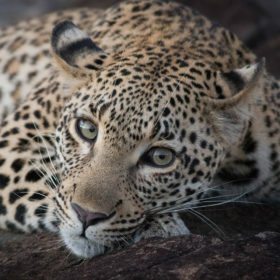 The picture of the Vomba Young Female also very much appeals to me.Not sure why but perhaps because I think that is how we SHOULD see leopards and seldom do. However, in spite of all the great pictures of the felines themselves the picture which appeals the most to me and therefore gets my vote for picture of the year is the one of the leopard print! It is magnificent!! The light and shadow on and in the print only serve to emphasise the depth of the print in the mud. The depth is impressive because so often one only sees a shallow partial print in sand, possibly slightly blurred around the edges, due to the sand not holding the shape too well. This is a great picture!!! 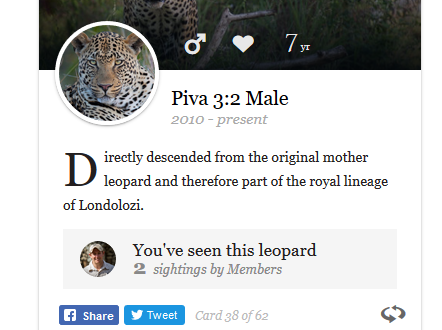 I too have voted for the Tutlwa leopardess. Darn you!!!! By viewing at these pictures, it makes me want to return to Londolozi even sooner – I just returned from a visit to Londolozi in November 2011. While you mention the AWB, f/stops and ISO settings, you do not mention anything about the lens used nor the kind of camera used. Would love to know what you use. Ironically, I LOVE the paw print. Very creative and very unique photography! NICE!!!! However, I did cast my vote and I just put the champagne glasses in the freezer to chill as I wait for the champagne to arrive. Again, EXCELLENT job and thanks for sharing your insights!! Keep `em coming. 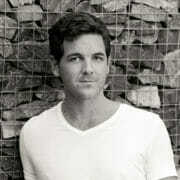 Hi John, well I hope that you do return to Londoz sooner! 🙂 November 2011 is already such a long time ago. The camera and lens used for all of these images is a Canon 5D Mack II with a 100-400mm Canon Lens. I have found this simple combination to work extremely well and give a great deal of versatility when out in the field. It is often difficult to change bodies, lenses, etc when following an animal and this setup allows you to rest the camera on your lap and get the shots with ease. Another lens I would most certainly consider is the 70-200m f.28 Canon lens. The 2.8 depth of field looks absolutely beautiful for portraits. Stay tuned for more insights and please keep your questions coming. Your “favourite pic of the year” VF is sensational. They all are. But I am so drawn to the fresh track photograph. It is absolutely stunning, and the conditions look perfect for photographing the substrate. I’ve taken a picture of what appeared to be an empty patch of sand before as the track was old, and under direct sunlight in the mid day heat, haha. Wonderful shots and advice,thank you. My favorite was the last picture with the Vomba young female….it held a mellow rustic energy for me. The dramatic afternoon light was the golden touch. Thank you so much, the photos are great and I think they could ALL win prizes!!!! Have anybody some recent news about Emsagwen? How do you decide when you go too far with the image enhancements? I always want my photos to reflect the natural beauty of what I have seen but also want them to be the best photos they can be. 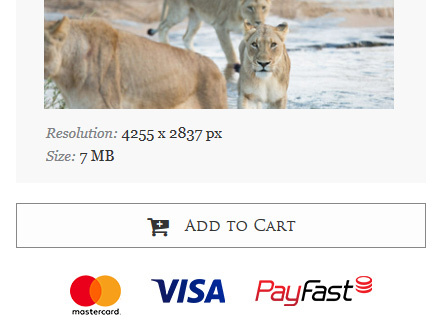 Sometimes when I think the animal looks great, the background looks a little false. I know you cannot turn a bad photo into a good one but any tips? It is a good question Leslie and depends very much on personal preference. There are a lot of purist photographers who still want to capture their images on film and develop them in a dark room as they believe this is the truest form of photography. My own opinion is that each and every picture is a piece of art and ultimately the viewer wants to look at pictures that are as pleasing as possible. I like to process my work as it enhances the overall quality of the image and makes the final picture look better. Whether this is a truthful representation of the image or not, what matters is that the picture looks great. That said, there is always an element of pride in displaying great work that has had no photoshop work done on it, but rather relied on the skill of the photographer and the natural beauty of the surrounds at that moment in time. I hope that answers your first question. Please see my comments that I have pasted on Facebook..wonderful photos but …. See what I have written .. 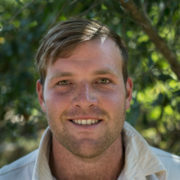 Rob Weaver: An interesting aspect but you should realise that not many photographers including myself with years of experience do not have the facilities, equipment ,you do not mention what lenses you used, or the venues / time to sit in a private game park where the rangers know where the predators are.. And to get below the eyes is for the majority impossible..do not get out of vehicle rules..don’t allow this ..nor does the unknown factor of in the wild coming accrosss any wild life particularly leopards does not allow one time to set,pose the animals..sometimes I have come accrosss leopards that lie around for hours and then these are usually surrounded by safari vehicles..so to all photographers who get wonderful photos of leopards in the wild I salute you..those that work with leopards and know where they are and take photos for financial gain as wild life photographers I do not praise you, photos should be natural, as seen, and unplanned in the majority of wild life photos with predators, cubs etc taken in private reserves are ok as one does not and should not interfer with the family looking after the cubs, in particular I hate this when photographers in Serengeti, Masai mara etc go right up to the cheetah or leopards and interfere with them. It is not natural and finally to go to tasks of enhancing the photos using blurr photoshop etc is not natural as well so photographers who do this apart from cropping,minor enhancement are in my mind acceptable.. Many of the photos taken and shown here are beautiful neigh wonderful and will sell, but buyers please remember that is not how you will normally see them in nature, they are quick to run away frightened of other predators and man…so if you want to follow the advise of this game photographer you will need to go to a private park which is the same as going to a zoo. 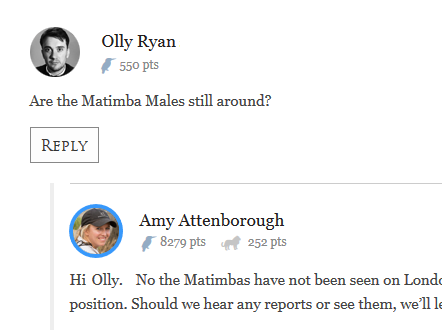 Hi Rob, I pasted your comment above as I wanted to continue the discussion on our blog. 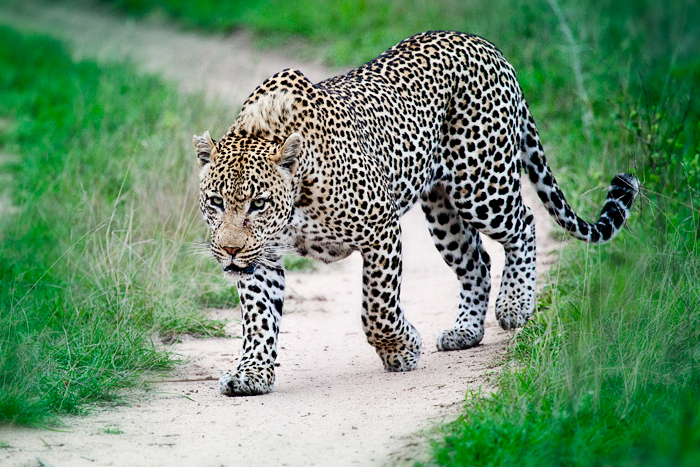 You make some great points and indeed we are very fortunate here at Londolozi to have phenomenal leopard viewing and to, more often than not, be able to view these creatures in open vehicles without many other cars around. 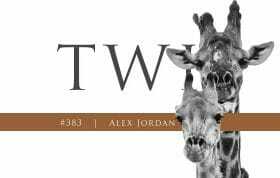 I must disagree with your comments on comparing a private game park to the same as a zoo. 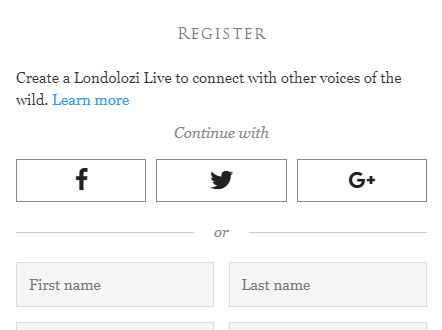 Londolozi is a private game reserve and lies in the heart of a 6 million acre wilderness, where animals roam freely and are tracked and found using skill and intuition on a daily basis. The photographic opportunities here are so good owing to the fact that we have viewed game respectfully and with integrity for over 30 years. To call this wilderness a zoo is not only unfair but categorically incorrect. Wonderful photos , have voted for your shot. 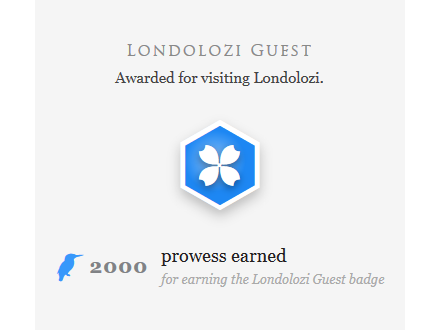 So looking forward to being at Lodolozi in about two weeks time. How is the weather now? Thanks for your reply and your link to a previous blog. It was helpful. In regards to Rob’s comments, I do have great respect for photographers who do not believe in tampering with their images and my best photos are the ones that are naturally correct. I am an amateur photographer and animals are my favorite subject. Sometimes you have to shoot them in not ideal light and such and don’t have the time to compensate with your camera controls as the animals are on the move. Even though I am an amateur, I take pride in my work and I am glad to have the technology to improve them when needed. I think the really great thing about photos is the feeling you get when you look at them. 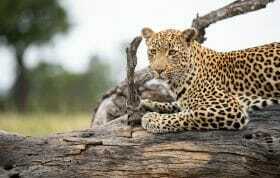 I feel that private reserves such as Londolozi have done much to preserve the natural beauty of Africa and its wildlife. It is a continent like no other and I am so happy that I am presented the opportunity to visit it through private game reserves. It is nothing like going to a zoo. In fact, ever since I have visited Africa, I can’t bring myself to visit animals in a zoo. I believe in the end, on either of the above subjects – to each his own. Stunning photos. Thank you for sharing. We were so moved by the beauty of the bush and Londolozi. 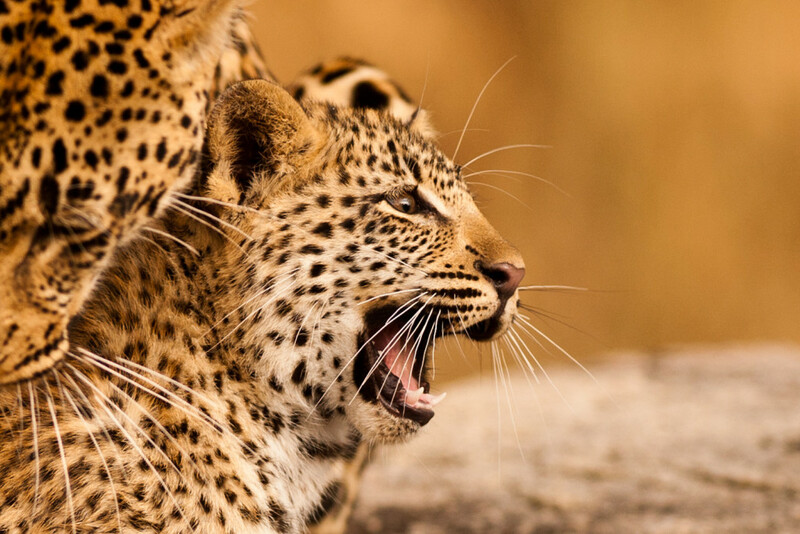 The leopards in particular are quite mesmerizing. 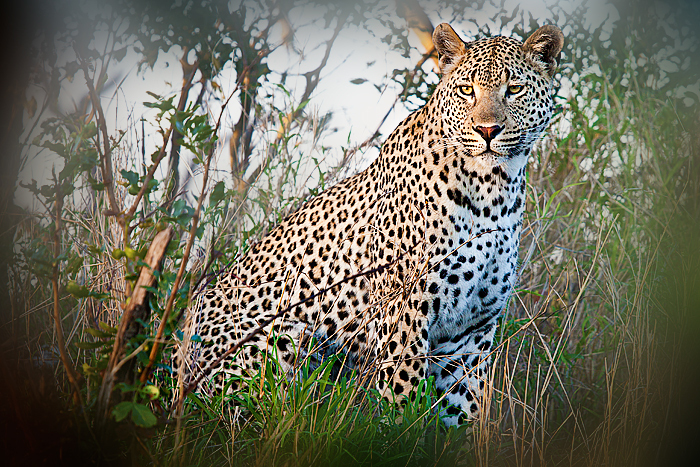 We had the luxury of gazing upon a male leopard on our last game drive for what seemed like an eternity. What an experience. It has been over three months and we still have that vacation glow. I can send you some photos. I remember Jess saying that he was in his father’s territory, and would likely have a confrontation at some point. Can you send me your email address? deanaamendolia at yahoo dot com. Thanks Dean, I have sent you a mail. These animals are so beautiful. 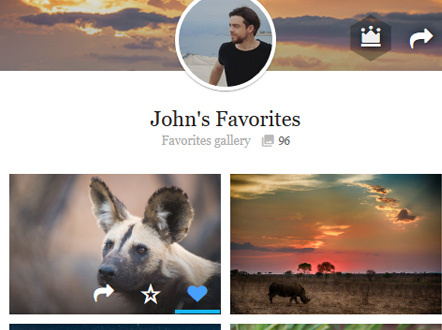 I always enjoy your photos…wish I was back at Londolozi on safari. Lovely pics Rich..One looks abit overcooked and oversharpened etc but great nontheless..I differ from you I find my Nikon D3s very easy to use and of course the best ever in low light matched with the 70-200 VRII and 300 VRII and 500 f4 VR..Glad you dont use flash on carnivores..very unethical…and now to find the money to afford Londoz..I used to go to Sparta when it was R10 p Night bring your own beers..Say Hi to Dave and Shan and Dean Smithyman and Duncan Mclarty et al!! 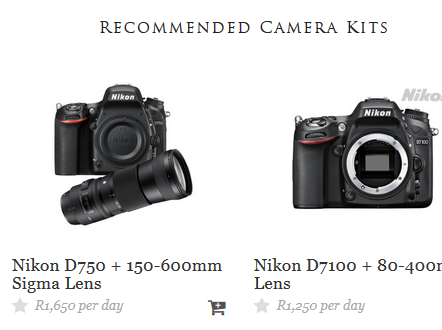 Thanks for your thoughts Peter, I agree with you that the Nikon D3 is a fantastic camera. I do think that the low light capabilities of Nikons are slightly superior to the Canons, however the user interface of Canons is more simple to use in my opinion. 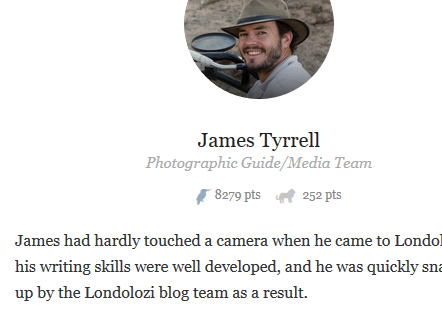 A round of applause for the blog article.Really thank you! Great. Awesome pictures! I agree that your favourite of the Vomba young female is a magnificent shot. I notice that you mostly shoot on auto white balance. I would be interested to hear your comments as to why you feel it to be your preffered option.